Railpictures.ca - Michael Berry Photo: CN 538 is starting its shift as it heads into Coteau Yard with 4 units (CN 4708, GMTX 2260, CN 4140 & CN 4787), the third which is smoking quite heavily. | Railpictures.ca – Canadian Railway Photography – photographie ferroviaire Canadienne. 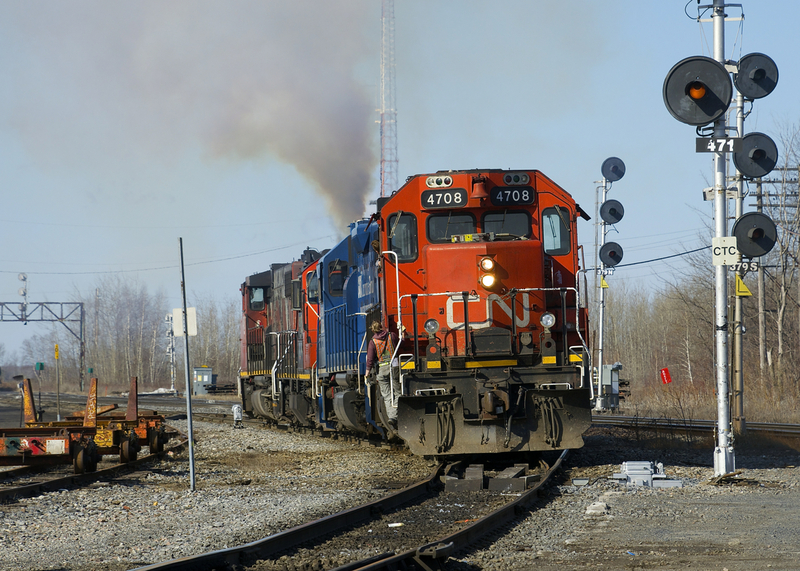 Caption: CN 538 is starting its shift as it heads into Coteau Yard with 4 units (CN 4708, GMTX 2260, CN 4140 & CN 4787), the third which is smoking quite heavily.